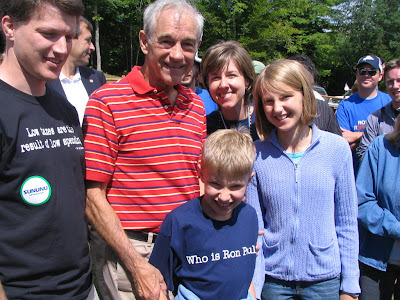 I got the chance to meet Dr Paul when he came to my town of Strafford, NH for the Strafford County GOP picnic. He took the time to shake every single hand of the 208 people who voted for him in the straw poll (winning 72% of the votes). My family has homeschooled since the first grade, and have come to realize how important educational freedom is. Dr Paul understands this as well, and has been outspoken in defense of the right to homeschool.